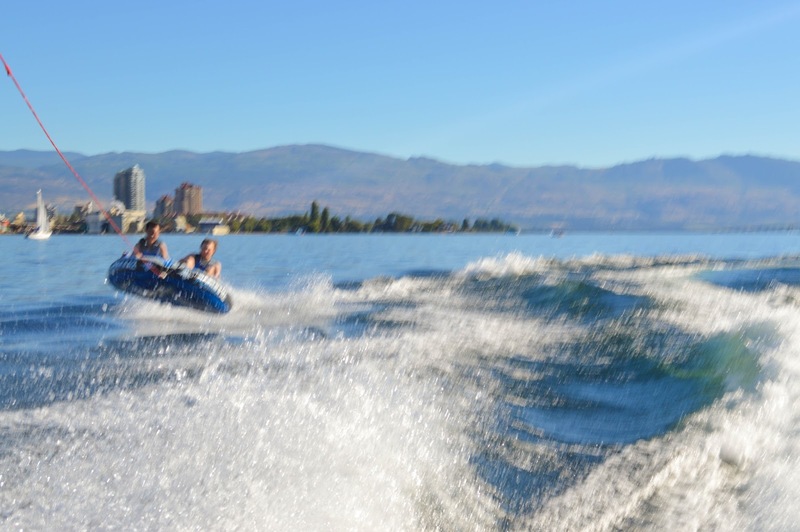 Last Saturday, my friends and I took advantage of the summer weather here in the Okanagan and rented a Tigé R20. 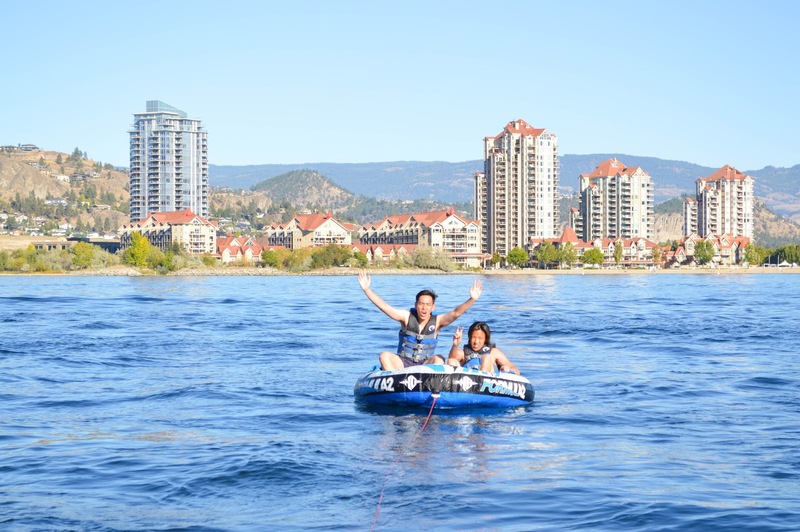 We rented from ≪Downtown Marina Kelowna≫ (access the link for more information) for four hours from 1:00 until 5:00pm. 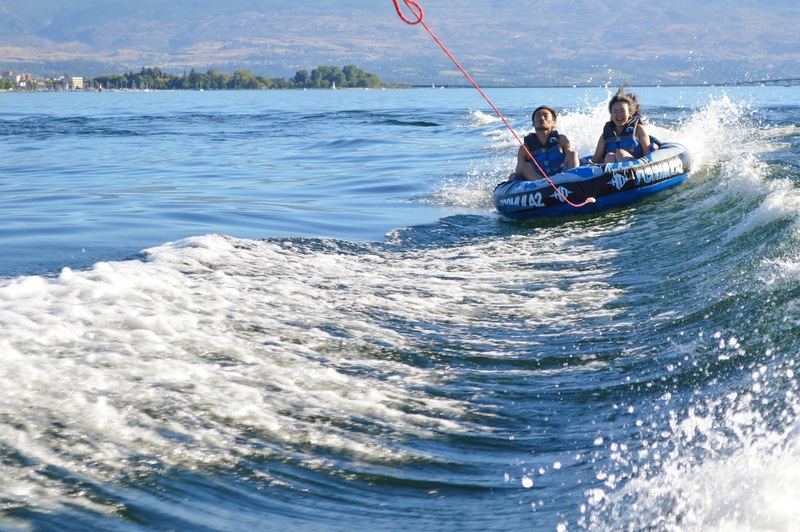 We also added a wakeboard and tube at an additional cost of $40. There was a $1000 deposit fee required just in case we were to damage the boat, but other than that the cost of the boat rental was $199/hour. 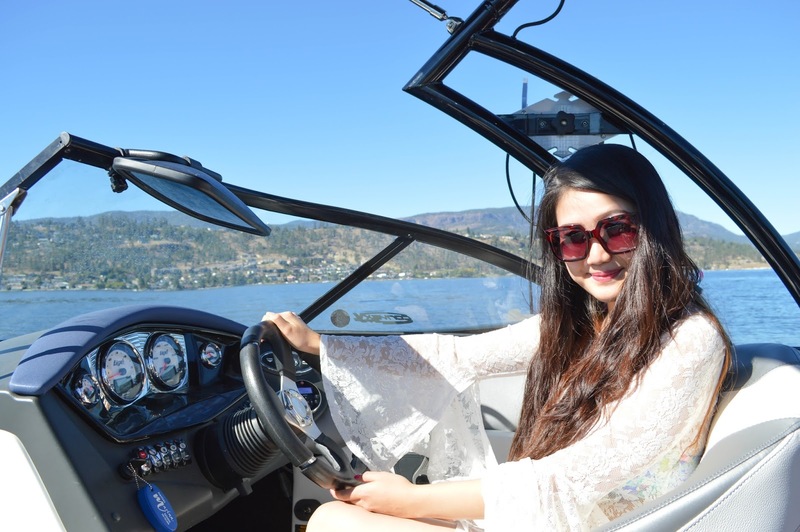 To actually skipper the boat, you just need to be 21+ and hold a valid driver’s license. 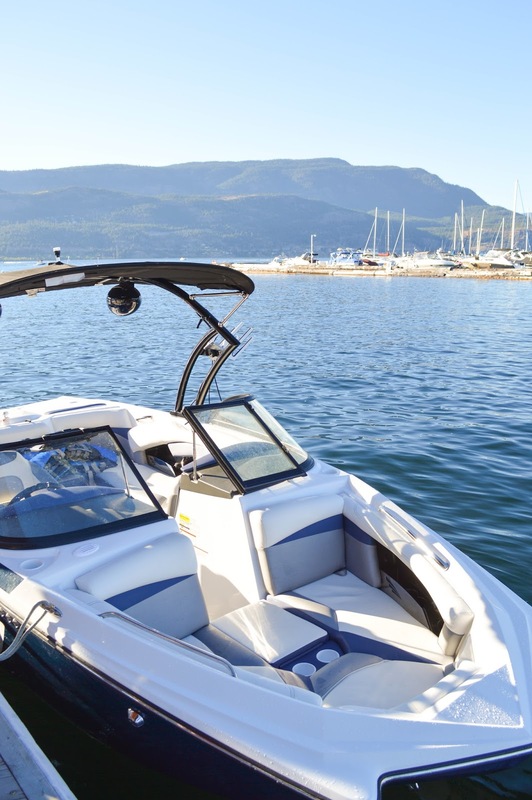 Before you head out to sea, you’ll get a quick, brief lesson on how to control the boat. 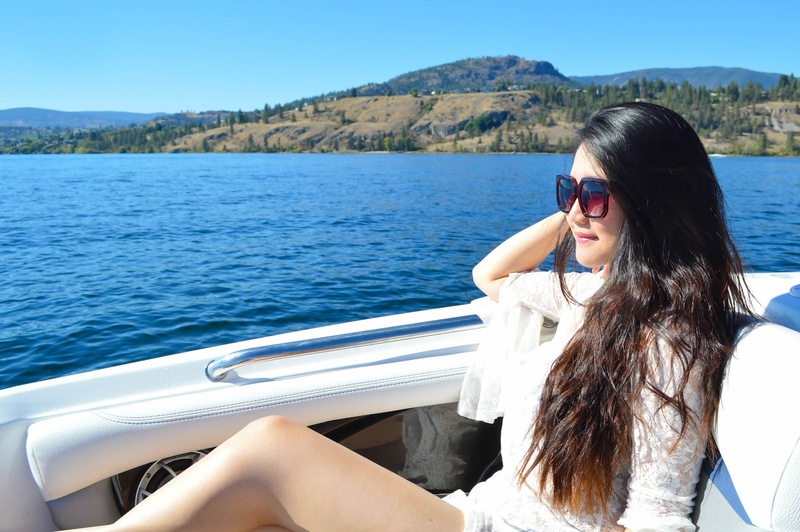 It was my first time ever driving a boat and it was a lot easier than I’d imagined. Slide the lever forward, the boat will go forward. Slide it backwards and it’ll go back. As simple as that. We had another friend driving the boat as well and I definitely recommend having more than one pilot (or captain) just in case something were to happen. 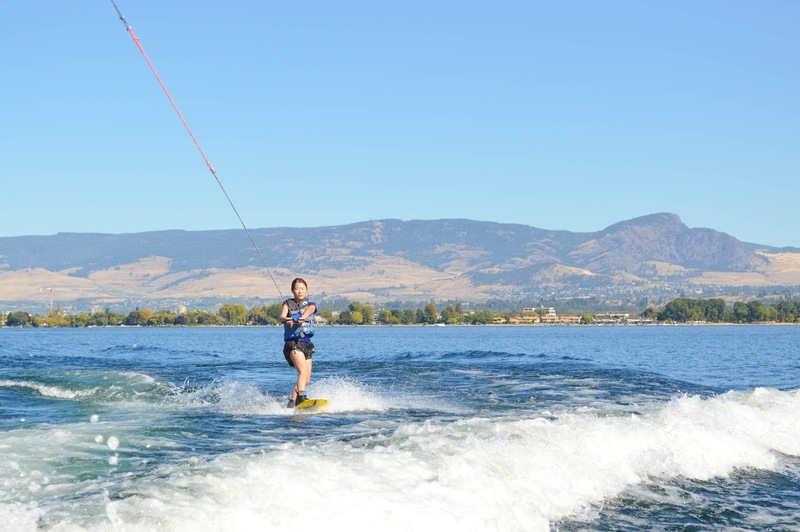 Plus, you get an equal chance to try wakeboarding and tubing, etc. My friends were brave souls. 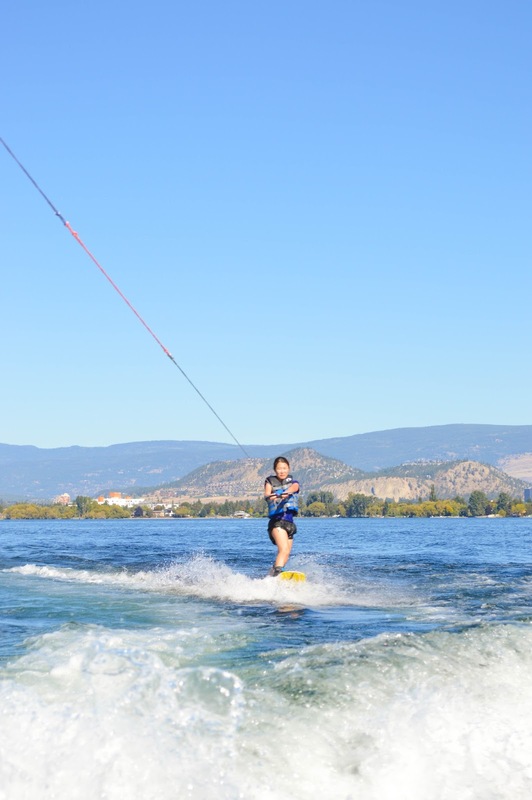 They all tried the wakeboard and believe me, it is way harder than it looks. 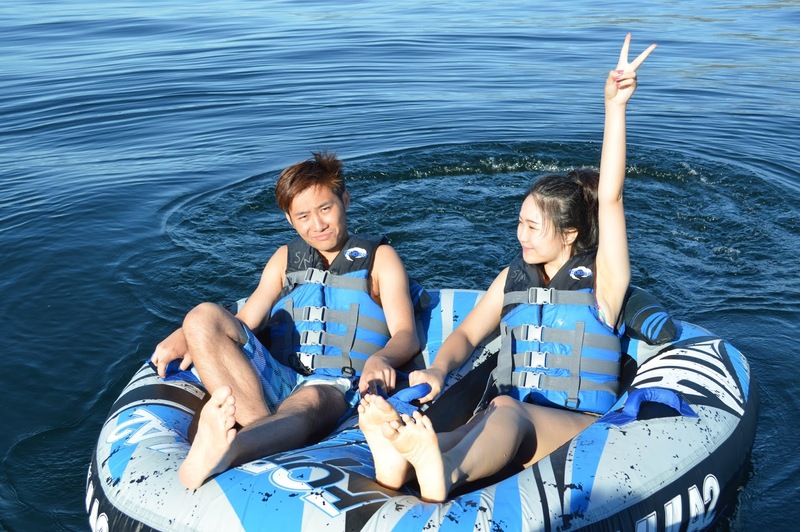 I stuck to tubing only. But even then I was scared for my life. Like legit scared. 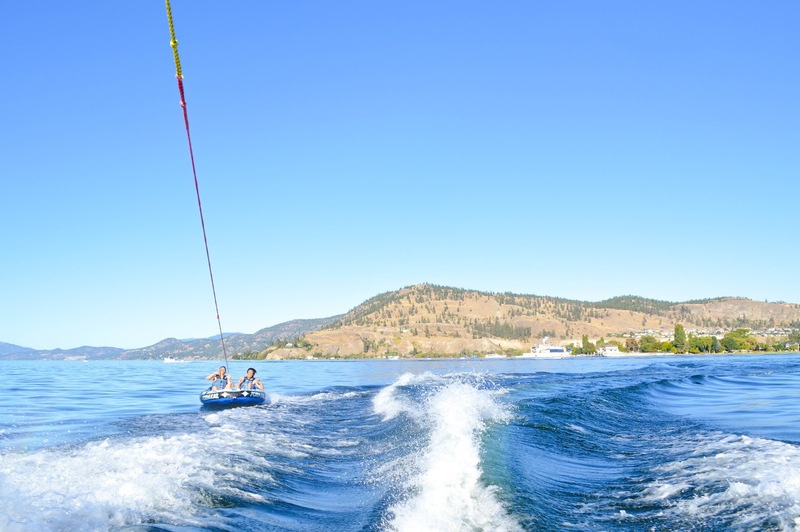 When I was in control of the boat doing S-shape turns at high speeds, watching my friends jump up and down on the waves in the tube seemed like so much fun. But when I tried it myself, I was grabbing onto the tube super tightly and clinging on for my dear life. Another note… Don’t drive too fast. When I drove the boat so our other driver could enjoy the tube, he asked for more speed. And so I pushed the lever forward and forward and forward. As I was driving in S-shapes, the rope connecting from the boat to the tube got stuck in the engine and ripped. We ended up having returning back to the dock but we were lucky that nothing happened to the engine and in the end we only paid for a damage fee on the tubing rope. Apart from this little accident, my first boating experience was extraordinary. It was fun, it was daring, it was something new and exciting! To end this post, I’ll put up a few photos of our fruitful day and hopefully my friends don’t mind having their faces plastered all over the Internet.